Book Stores --- Individuals --- Organizations. THE SANCTUARY 217 PITT, CORNWALL, ON K6J 3P8. Is no longer in exsistance to my knowledge. Old Authors has a wide range of used and collectible books, with concentrations in early electro-technology (radio, wireless, telephony, telegraphy, electricity, and television). We operate an open store in scenic Morrisburg, Ontario, and are open April 1 to November 30, Wednesday through Sunday, from 10 to 5, and at other times by appointment or chance. We purchase single books or libraries, particularly in our areas of specialty. 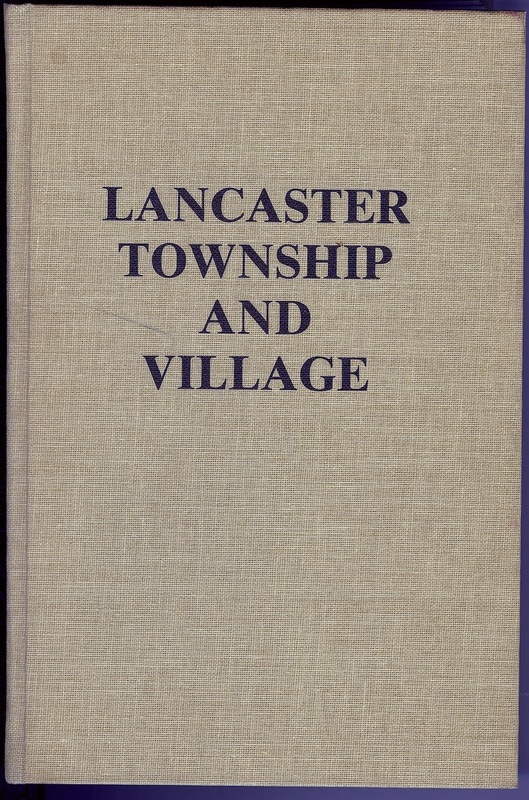 On this web site you will find a variety of books on the area. Sold in 2012, has new owner, name changed. 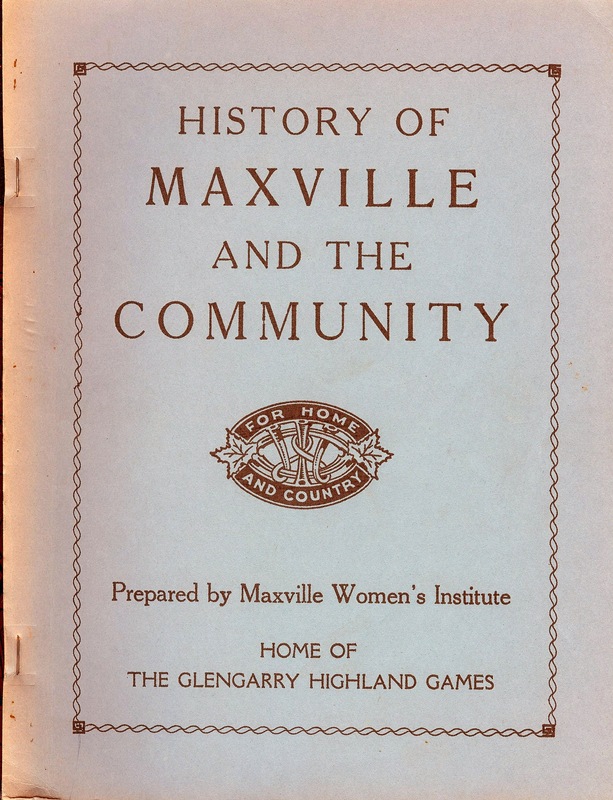 "The History of Maxville and the Community" which includes Athol, St. Elmo, Dominionville as well as the history of 32 prominent men. The book has 93 pages of info on pages - both sides. We added an index and the copyright info page as well as an afterword at the end. No illustrations or photos. It is the normal 81/2x11" format with black coil rings. We didn't set up any payment plan so people ordering from 'away' need to mail a cheque made out to the 'Glengarry District Women's Institute. 'I would mail them out individually as I found to mail two together cost over $13.00 for postage. or order through my email and send the cheque by snail mail. We only printed 125 copies and 40 are gone now so it seems to be a success. 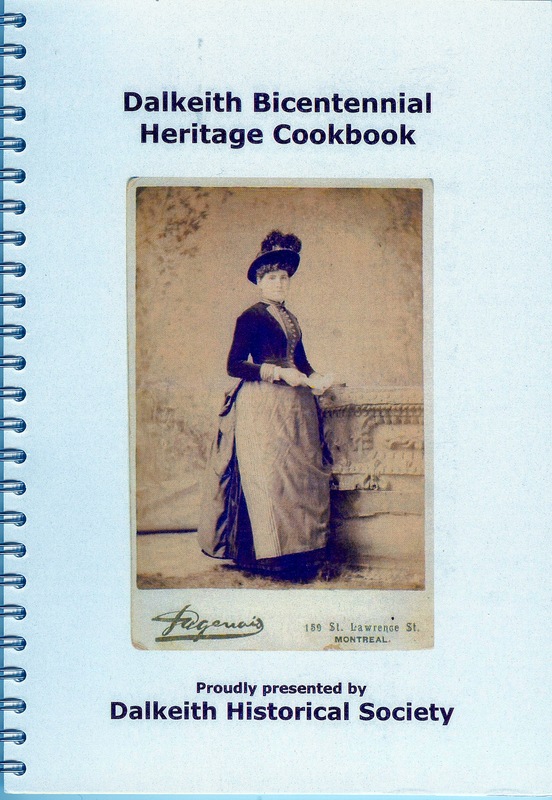 It is a fund raiser for the Women's Institute but I felt it is so full of info that the book should be again in circulation. It is available from me Susan Robertson 613 347-2935 and e mail sumac @ farmhousefurinture.ca for $12.50 plus postage and handling of $4.00. Mrs. Carmen Howes, 1360 Old Military Road, [Kirk Hill, north of Churches], R. R. #1, Dalkeith, Ontario K0B 1E0 phone # (613) 525-2942. For the book McCormicks of Glengarry. Thelma McDonald and Mary Devine of Cornwall are now both dead, having passed away in early 2004. If you have a Montgomery connection/relative in your family From The Roxborough Township of Stormont County, give this Montgomery genealogy a look over. for further information on availability. 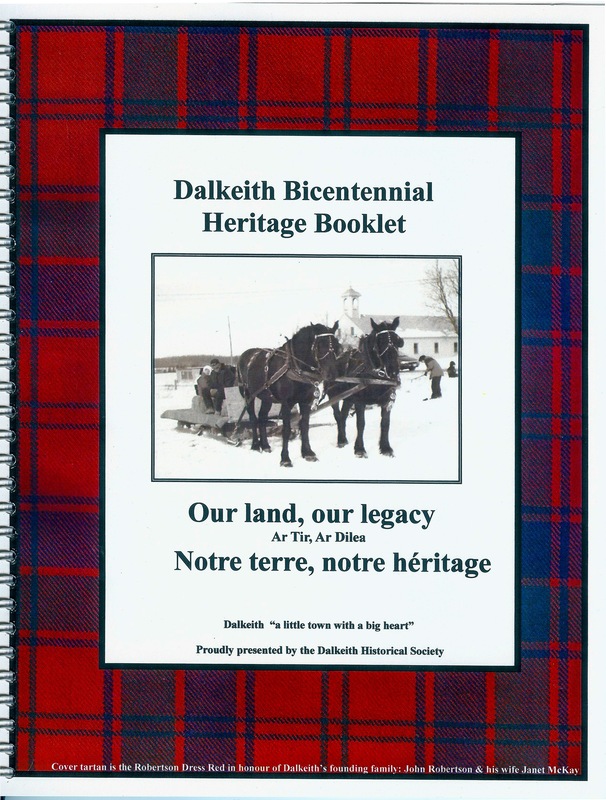 154 pages about the Hay Family in Glengarry County. Includes references to census, cemetery inscriptions, Hay Index, Surname Index etc. For more information Contact Mrs. Leigh Hay-LeBlanc, Ottawa, Ontario. Copies of the book are $47.50, plus $5 shipping in the USA, total $52.50 or $15 shipping to Canada, total $62.50, all USA money, check or money order. published in 1999 by the Bainsville Women's Institute ? for copies of The Descendants of Angus, John & Donald Cameron by Gertrude Cameron. The Pioneer Museum, Dunvegan, Ontario has a copy. Stormont Dundas and Glengarry 1945 - 1978 by Francis Marin. In the years following the close of the American Revolutionary War, there was a special provision that made the children of the Loyalists who settled in Ontario eligible for land grants free of fees as they came of age or married. The compiler of this work extracted from the Canadian Orders-in-Council thousands of references to the land grants made to these sons and daughters and arranged them systematically under the names of their Loyalist parents. The references in the Orders-in-Council generally provide, in the case of sons, the name of the petitioner, his place of residence, and the name of his father--the Loyalist through whom he claimed the land grant. In the case of daughters, the reference states the name of her husband, her place of residence, and the name of her father. Mr. Reid has also supplied, from additional sources, marriage dates, birth and death dates, and the names of wives of the sons of the Loyalists. Everything for the Family Historian, Books, Genealogical Supplies, etc. Subject: Reprint of Cyrus Thomas' History of Argenteuil & Prescott Counties. This book has been printed recently by a Toronto firm. The two editions are exact reproductions of the Mika edition. I recommend the hard cover edition. The binding on the soft cover version will not take much abuse. You may wish to include it in your page instead of your current note which refers to me. My project is now dead, but I'm grateful to Globe for republishing this invaluable work. We are the only full time American supplier of quality genealogical materials relating to Canada. a fast, free search engine to help you find used, rare, and out of print books. Here is a list of some items dealing with a few area families [Fraser, Pringle, Cattanach] that we recently came across at the University of Victoria, Victoria, BC that might be interest to viewers.